"A BETTER LIFE AWAITS". 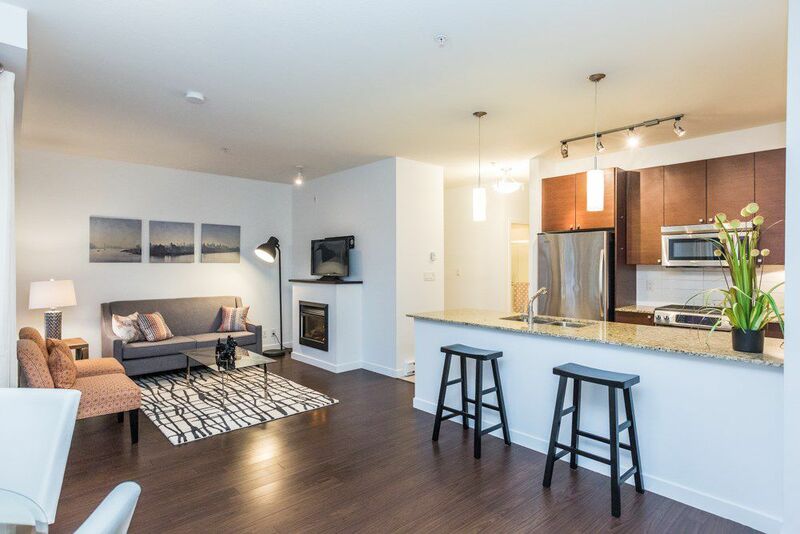 Enjoy the luxury of urban living in this 2 BDRM & DEN, 2 bath, boasting lofty 9ft ceilings & close to 1000 SQ FT of living space! This unique END UNIT backs onto the quiet GREEN BELT & has 2 huge patios for summer entertaining. You're going to be inspired to cook up something amazing in this modern gourmet kitchen complete with SS appliances, gas range & granite counter tops. This beautiful home offers a spacious & bright Mstr bdrm which will showcase your king sized furniture & comes complete w/ensuite & walk-in closet. Keeping fit has never been easier in the Aria Club with its fitness centre & steam/sauna/pool. Don't miss this opportunity to live in the heart of Suter Brook Village with its trendy restaurants & shops & quick access to the new EVERGREEN LINE!